You may have spent hours ensuring that your yard is immaculately manicured and your home refreshed with new paint every few years. But when was the last time you checked your roof for damage? Anything can cause your roof to weaken. But no matter the cause, the longer you leave it, the more susceptible your home will be to things like leaks, ceiling stains and in the worst case scenario, the complete failure of your roof. 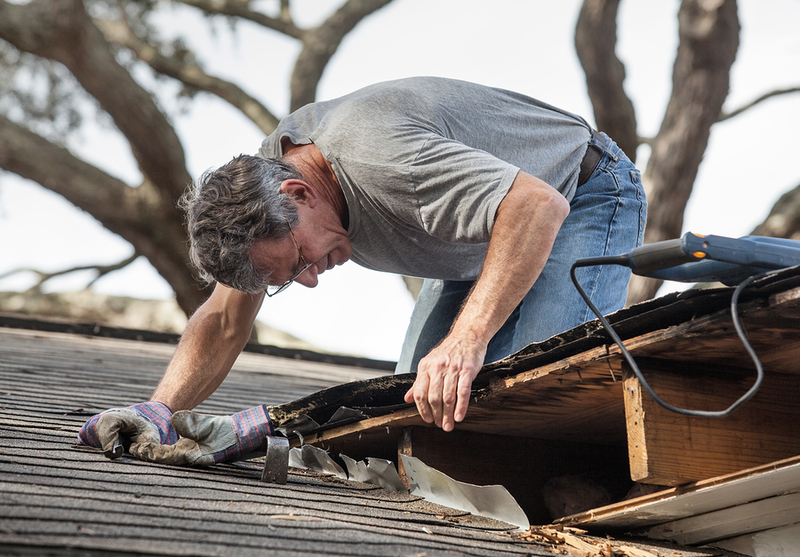 Your Florida public adjuster understands the common kinds of roof damage. But when you know what they are, you can keep an eye out and maybe prevent damage from occurring. Believe it or not, coconuts are one of the most dangerous items where it comes to roof damage. Florida is known for its gorgeous palm trees, but these falling fruits can easily crack roof tiles, leading to leaks and further damage to ceilings and walls. Shingles are common victims of wind, which can lift and remove entire sheets of them from a roof. Because shingles are adhered to roofs using one asphalt strip and debris can easily become trapped underneath via storms and their accompanying winds, the strip can quickly weaken. Before you know it, the next hurricane season could see your roof being stripped bare. Similarly, hail can cause significant damage to shingles over time. The constant battering of a roof due to hail can mean holes forming in shingles, and even cracks in tiles if the hailstones are large and heavy enough. Little more can cause so much damage to a roof as quickly as a falling tree. Storms like hurricanes can mean that trees are easily uprooted or felled, causing thousands of dollars in damage. Prevention is as easy as ensuring all trees on your property are pruned and that all loose branches have been removed. What happens when the wind is strong enough to lift debris and cause collisions between that debris and buildings? Impact zones. These areas mark where a roof has been impacted on several occasions by debris carried by the wind. The higher the number of impact zones on a roof, the weaker and more vulnerable to damage it can be. Regular inspection of the roof for damage is the only way to ensure it will be there to protect your home’s contents from further weather damage. However, it’s best to hire a professional to inspect your roof, as they can spot impact zones, cracks and other damage that may be difficult for the untrained eye to see. And of course, once a professional has inspected your roof, it’s always a good idea to ensure that you contact a public adjuster to file a claim if damage has been spotted. Your public adjuster can ensure that your claim is processed quickly so that you don’t have to wait for your roof repair costs to be covered. 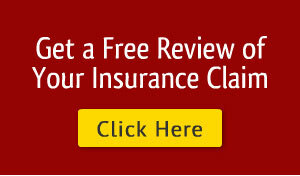 Calling us at 877-869-8989 can help you start the claims process now.